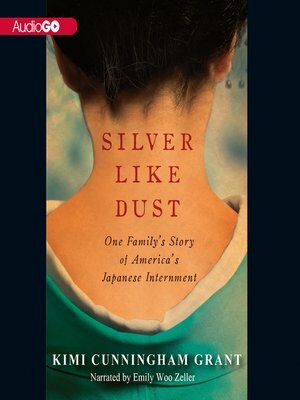 The poignant story of a Japanese-American woman's journey through one of the most shameful chapters in American history. Sipping tea by the fire, preparing sushi for the family, or indulgently listening to her husband tell the same story for the hundredth time, Kimi Grant's grandmother, Obaachan, was a missing link to Kimi's Japanese heritage, something she had had a mixed relationship with all her life. Growing up in rural Pennsylvania, all Kimi ever wanted to do was fit in, spurning traditional Japanese cuisine and her grandfather's attempts to teach her the language. But there was one part of Obaachan's life that had fascinated and haunted Kimi ever since the age of eleven—her gentle yet proud Obaachan had once been a prisoner, along with 112,000 Japanese Americans, for more than five years of her life. Obaachan never spoke of those years, and Kimi's own mother only spoke of it in whispers. It was a source of haji, or shame. But what had really happened to Obaachan, then a young woman, and the thousands of other men, women, and children like her? Her story is one of thousands, yet it is a powerful testament to the enduring bonds of family and an unusual look at the American dream.